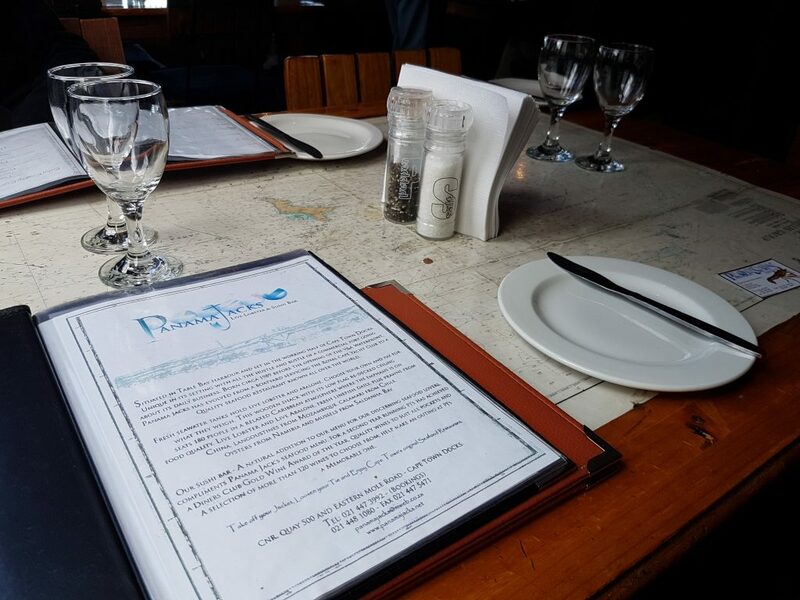 Foodies | South Africa | Gone fishing at Panama Jacks. Don’t wait up. I haven’t counted them, but there are probably just 30 steps between the edge of the working harbour and Panama Jacks’ front door. And by ‘door’ I mean the thing that’s really only there to shield you from the icy south-easter every now and then. It’s definitely not there to look fancy or pretend to be something it’s not. Once inside, you’ll quickly notice that furniture and decor don’t take pride of place around here. If that’s what you’re after, retreat to your car and head elsewhere fast. 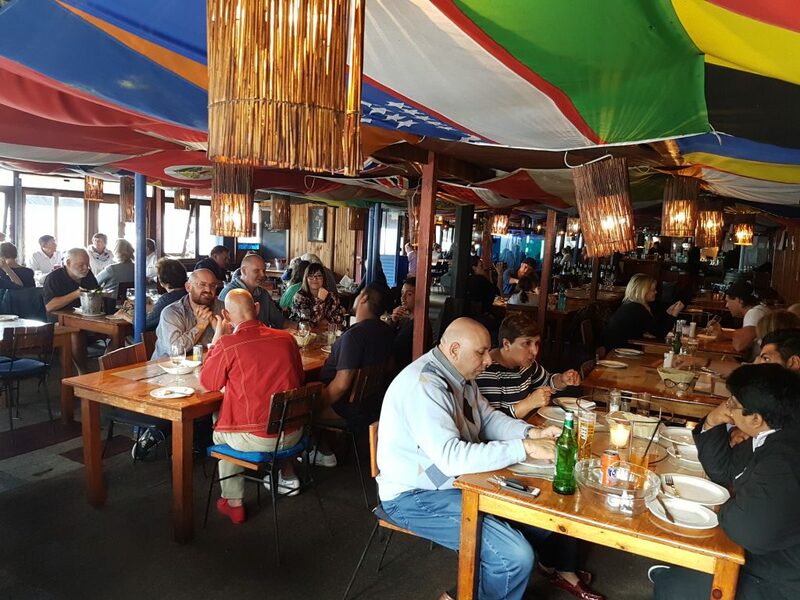 As far as looks are concerned, this restaurant is barely more than a seaside shanty, with flags of the world draped across the ceiling and old wooden tables dotted around its uneven floors. Everything you’d expect from a galley kitchen just metres from the sea. But none of this has anything to do with why you’re here, trust me. After sidewinding your way between bustling tables and darting waiters, you’ll reach your seat for the main event. All around you, ice buckets will be swishing and glasses clinking. People up to their elbows in prawn juice. Lobster platters sliding into place. Oysters on ice disappearing with glugging smiles. Freshly-peeled shells flying across the table into towering bowls. Diners here have arrived from all corners of the world: India, China, Gauteng, Canada, the ships that have just anchored in port. 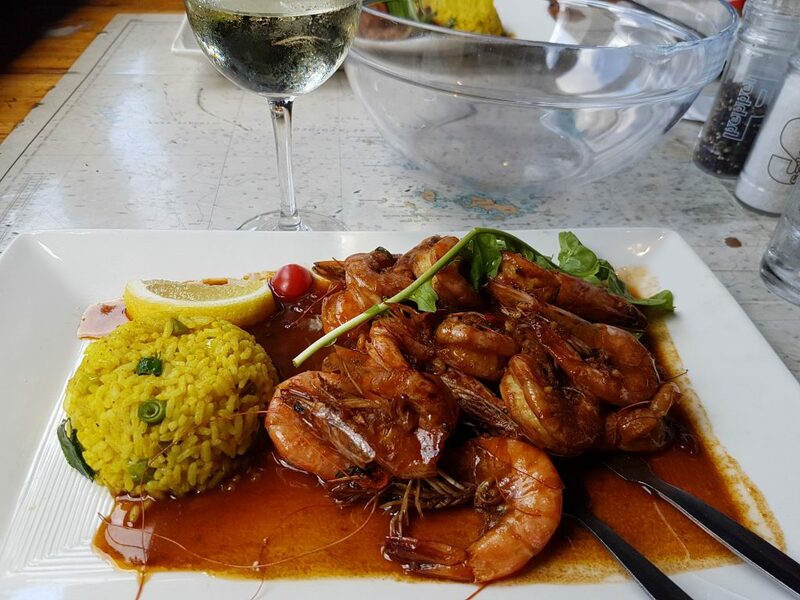 Within these four thrown-together walls, only two things matter: eating the best seafood ever caught and cooked in Cape Town, and having a damn good time doing it. You don’t even need to speak English – or speak at all, actually – just point to something on the menu and wait for the treasure to arrive. I order the Spicy Butter Prawns without even thinking, obeying my stomach’s orders like the hungry solider I am. For others who have the time or patience to stroll though the menu, the good news is that it’s filled with endless seafood permutations. If it lives in the sea, it can end up on your plate. And around here, the time between those two life events isn’t very long at all for the creatures in question. There are even open-top tanks here, if you want to choose your own live lobsters, abalone or oysters. Then there’s langoustines, calamari, mussels and fish galore: kingklip, dorado, tuna and salmon. You name it, they’re cooking it. And at a very decent price, too. If you really want to go to town, ordering from their lunch menu will see you eating like a king for less than the price of a pizza. But enough chit chat. My prawns have arrived, still sizzling on the plate. Eyes down and peeling – at least that’s the plan. Before I know it, a plump little chilli-garlic-soya morsel is bursting apart in my mouth. I try to apply some discipline, reminding myself that eating the peeled sea monsters with rice and holy sauce (it’s not that good – it’s better!) will be worth the wait. But by then I’ve already wiped out another five of my new friends from the sea. 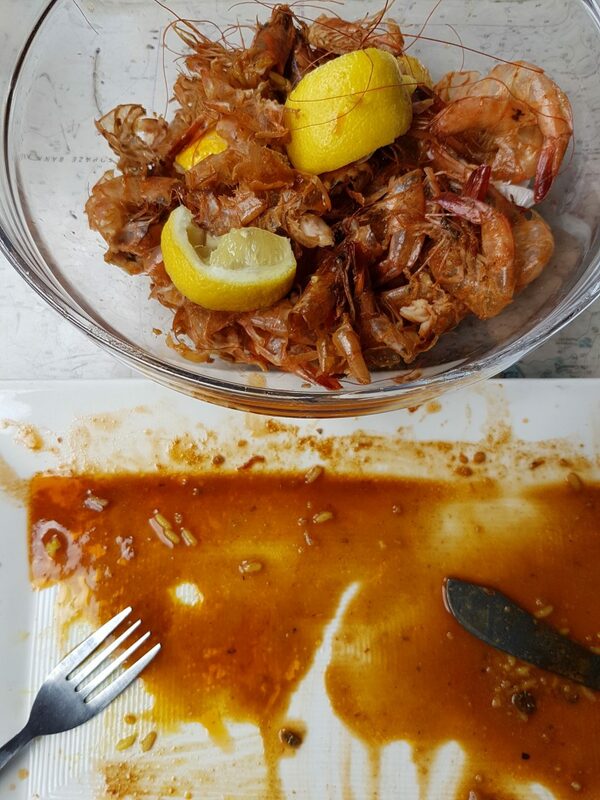 Between mouthfuls, I finally manage to peel a few more prawns, which is easy when they’re so fresh that they jump out of the shell at the slightest suggestion. I pierce one of the prawns, scoop up some savoury rice, and bathe it all in some of the heavenly curry-leaf-soya-garlic-chilli sauce. My mouth can’t believe it. Neither can I. Something magical happens when something so pure and fresh meets flavours so rich and fragrant. I look again and the prawns are gone, but some sauce remains. All that’s left now is to drink it off the plate like a circus freak or soak it all up with one of the rolls brought to the table when we arrived. Sanity prevails and I go with option two. My tastebuds are dancing again. It’s easily one of the most delicious seafood dishes I’ve ever eaten in my life. I caught myself licking my fingers (all ten) more than once, without giving a single fig about what anyone else thought. 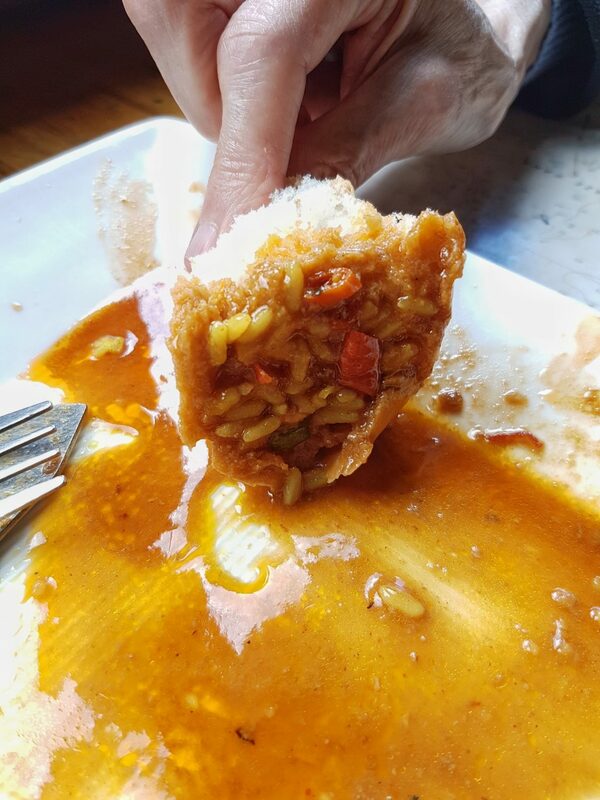 That moment, right there, hands dripping in blissful delight and mesmerised by good food, is what Panama Jacks is all about. It’s why they’ve been in business for almost 30 years, and why you still need to book in advance, afternoon or evening, rain or shine. Their success, I think, is down to consistently fresh food, packed with consistently great flavours, just as good next time as it was the time before. Owned and run by Quentin Pittaway and family, there’s a lot to be proud of at this unique eating venue. Where else can you see, smell and taste the sea, as nature – and secret recipes – intended?